We often think of black pepper as something we use to add flavor to our food. But that is not the only reason why you should be using this aromatic spice. Read on to learn more about black pepper essential oil and its health benefits. Black pepper essential oil (Piper nigrum) is extracted through steam distillation or CO2 extraction of unripe dried peppercorns. Black pepper is a vine that grows around supporting trees. 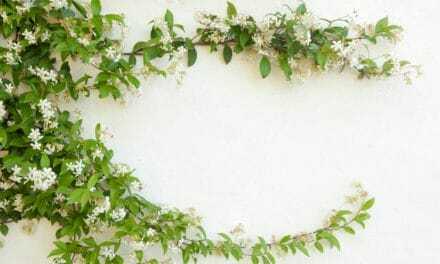 It grows up to 10 feet in height and has small white flowers. There are many species of black pepper, but some of the best species are found in India. This essential oil is pale yellow in color and has a warm, spicy, peppery and musky aroma. The significant components of black pepper essential oil are a-pinene, b-pinene, limonene, myrcene, sabinene, camphene, a-thujone, piperitone, caryophyllene, pinocarveol, p-cymene, b-bisabolene, a-phellandrene, b-farnesene, a-terpinene, and linalool. These constituents provide anti-inflammatory, antioxidant, anti-microbial, anti-carcinogenic, anti-ulcer and immunomodulatory properties to black pepper oil. Black pepper is one of the oldest known spices. Archaeological evidence shows that pepper was used as far back as 2000 BC in India. It has also been used in Rome and Greece for thousands of years. The Romans loved using pepper in their food. In one of the oldest cookbooks in existence, most of the recipes used this spice. In 400 AD black pepper was used as currency. It was also traded from India to Egypt. Peppercorns were stuffed into the nostrils of Ramses the Great when he was mummified. Black pepper treats digestive problems like diarrhea, constipation, indigestion and bloating. Various lab studies have shown that piperine, the principal alkaloid in black pepper can help in treating constipation as well as diarrhea. The study also showed that black pepper oil has spasmodic and antispasmodic effects, which treats gastrointestinal motility disorders (1). Another Chinese study looked at the effect of piperine on rats with irritable bowel syndrome that showed depression-like behavior. The study showed that piperine improved the behavior of IBS rat. It also helped in the regulation of serotonin and synaptophysin expression in IBS rat model (2). Black pepper oil has analgesic, anti-inflammatory and anticonvulsant properties that help relieve pain caused by cramps, spasms, muscle pulls, as well as arthritis. 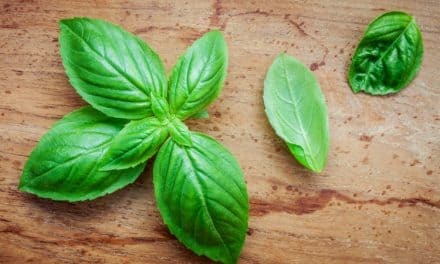 During a study from Taiwan, 60 participants with a history of neck pain applied 2 grams of a cream containing 3 % concentration of marjoram, black pepper, lavender and peppermint for four weeks. The results showed a significant improvement in pain and movement in the participants (3). The anti-inflammatory properties of black pepper oil also help to reduce inflammation caused due to arthritis. According to a 2013 study from China, piperine inhibits inflammatory mediators in human arthritic cartilage cells (4). Black pepper essential oil has potent antibacterial properties that can cure bacterial infections in the digestive system and the urinary tract. Not only is black pepper oil treatment free from side effects; it also prevents drug-resistant bacteria. 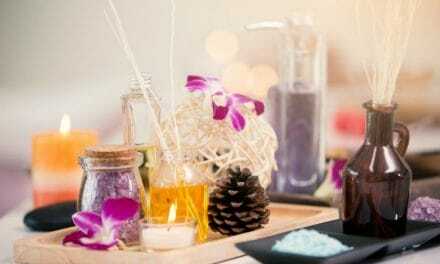 According to a 2014 study from The Republic of Korea, essential oils like black pepper and myrrh oil have potential use as anti-virulence strategies against persistent S. aureus infections (5). Black pepper oil is also known to lower LDL cholesterol and raise HDL cholesterol. According to a study, when researchers treated rats fed on a high-fat diet with black pepper and piperine, they showed remarked decrease in cholesterol levels, levels of free fatty acids, phospholipids, and triglycerides. The supplementation of high-fat diet fed rats with black pepper elevated the concentrations of HDL and reduced the strength of LDL and VLDL (6). Another study from Thailand discovered that piperine reduces cholesterol uptake in cells as it affects cholesterol transporter proteins (7). Black pepper essential oil is known to improve blood circulation, which helps in lowering blood pressure. According to a 2010 study from Slovakia, when piperine was given to rats, it decreased their blood pressure from the third week of the treatment (8). Another study published in the Journal of Cardiovascular Pharmacology showed that piperine possesses blood pressure lowering and vasomodulator effect (9). Black pepper oil can suppress specific smoking withdrawal symptoms including craving for cigarettes and anxiety in smokers deprived of cigarettes. According to a 1994 study involving 48 smokers, inhalation of vapor from black pepper extract reduces smoking withdrawal symptoms. During the study, the smokers participated in a three-hour session after overnight deprivation from smoking. One group of smokers puffed on a device that produced vapor from black pepper essential oil; a second group puffed on the device with a mint/menthol cartridge, and a third group used a device containing an empty cartridge. Subjects could inhale as much as they wanted from the device they were given, but no smoking was allowed. The results showed that the craving for cigarettes was significantly reduced in the black pepper extract group (10). Several test tube and animal-based studies have shown that black pepper oil has anti-cancer properties. In addition to piperine, black pepper oil contains several compounds like limonene, alpha-pinene, beta-pinene, and beta-caryophyllene that are known to have anti-cancer effects. According to a 2010 study from Michigan State University, black pepper extract compounds have antioxidant, anti-inflammatory and anticancer activities. 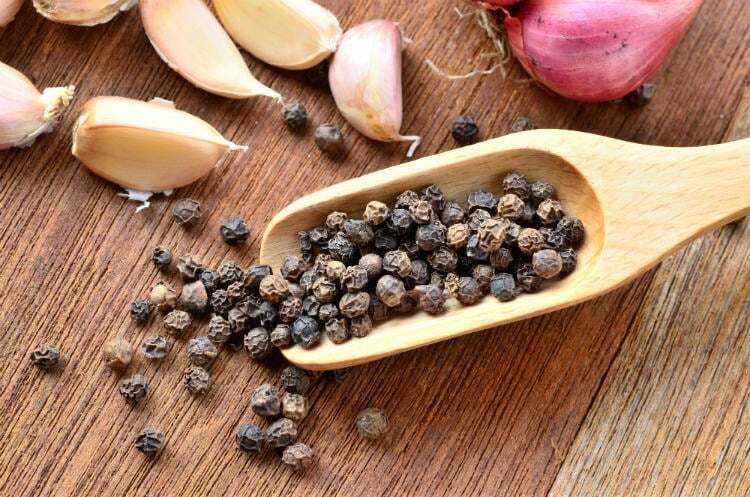 The researchers also discovered that piperine and alkyl amides found in black pepper inhibit cancer cell proliferation (11). Dysphagia is a medical term used for swallowing difficulties. Some people with dysphagia have difficulty in swallowing some foods and while others can’t swallow at all. Dysphagia can occur with stroke patients and people undergoing cancer therapy. During a 2006 study from Japan, researchers gave black pepper oil to 105 poststroke patients. The results of the trial showed that nasal inhalation of black pepper oil activated the insular or orbitofrontal cortex, which resulted in improvement of the reflexive swallowing movement (12). Patients with severe neurological ailments often need tube feeding. Since this kind of feeding can cause complications, reinstating oral intake of food is necessary. According to a 2008 study from Japan, black pepper oil is considered an appetite stimulant and it helps to facilitate swallowing in older people (13). Black pepper is a diuretic. It helps to remove toxins from the body through urine. When it is applied to the body topically, it creates a warming sensation which leads to sweating. Sweat also removes sweat and dirt from the body. According to a 2013 study piperine can help normalize blood pressure, improve glucose tolerance, decrease inflammation and boost liver function in rats fed on a high-fat diet. These changes suggest that piperine reduces the symptoms of human metabolic syndrome by reducing inflammation and removing toxins (13). Meat products are prone to spoilage due to the growth of microorganisms in them. However, studies show that black pepper oil can prevent the growth of organisms that lead to food spoilage. During a study from Serbia black and green pepper essential oils were used to determine their chemical composition and their antimicrobial activity against food spoilage microorganisms. The study found that both these oils inhibited the growth of S. aureus bacteria in chicken soup (14). Mix one to two drops of black pepper oil with coconut oil and massage with it to soothe muscles and joints. You can diffuse or inhale this oil directly to soothe anxious feelings and to stop cigarette cravings. Take one to two drops internally to help detoxify the body. 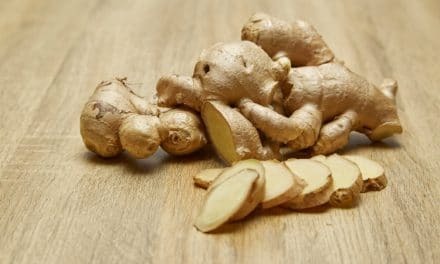 Add it to meats, soups, entrees, and salads to enhance food flavor and aid digestion. Diffuse, or dilute one drop in a carrier oil and rub over the heart center as desired for emotional support. Massage one or two drops into the soles of the feet daily, or diffuse as needed for increased energy. Black pepper essential oil can lead to irritation if used topically in high doses. Always dilute black pepper oil with a carrier oil before you apply it on your skin. Avoid contact with eyes, ears and other sensitive organs. If consumed in large quantities, black pepper oil can cause nausea, vomiting, uneasiness, insomnia, and inflammation. Always read the instructions of the oil carefully and buy good quality oil. Pregnant or nursing women should avoid this oil. If you are taking medication for an illness, consult with your doctor before using black pepper essential oil. Black pepper oil is extracted through steam distillation or CO2 extraction of unripe dried peppercorns. This essential oil is pale yellow in color and has a warm, spicy, peppery and musky aroma. You can use this oil to flavor your food, improve digestion, reduce pain, prevent cancer, and reduce cravings for cigarettes. You can diffuse this oil, use it topically and internally as well. Always dilute this oil before using and use good quality black pepper oil. NextHow Can Hydrogen Peroxide Treat Your Gums and Teeth?